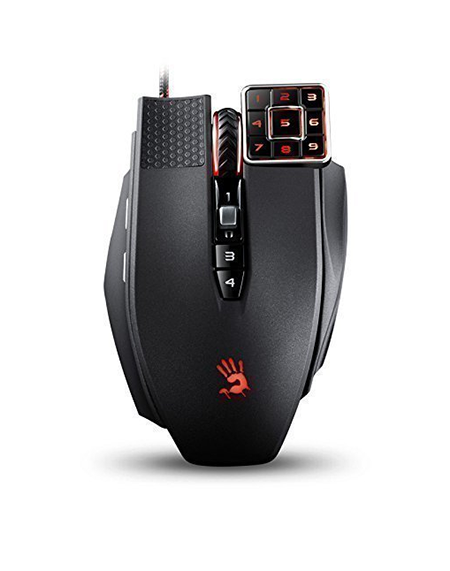 I always love a high-end and feature-rich gaming mouse that is relatively affordable. Although it is produced by the not so famous “BLOODY” (In the gaming world however, they are referred to as an innovative gaming mice company), the Bloody ML160 gaming mouse is an outstanding gaming mouse, not only because of the futuristic looks, but also because of the powerful hardware, many little switches, infrared scroll wheel, and various other functions that make it one of the best in the gaming industry. The powerful features of a dynamic mouse like the ML160 commander are mostly based in its 8200 DPI Avago 9800 laser engine. 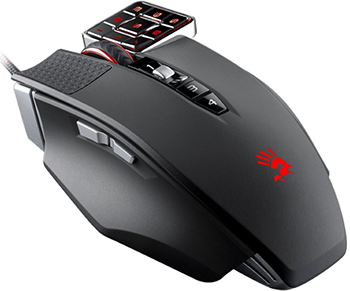 The mouse has also earned critical acclaim and praise from users thanks to the infrared LightSTrike switch. What makes this switch so great is that it enables you at least .2 microseconds faster tactical response. Because this feature is rare, you will have a great advantage over other players while gaming. Of all the many features first I would like to tell about the numeric pad located in the center. It looks neat and is fully programmable. You can make it perform anything you like, any action you may think you need. The cool thing is that if you do not program it, you can use the buttons and connect them to the keyboard. That will open many other functions during gaming. On top of that, under the mouse wheel there is a rocker button and below it, there are 2 programmable buttons. 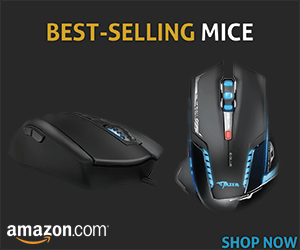 Another interesting part that I liked about the mouse is the right-click. When you start using the mouse, by default the right-click will be bound to the 5 key on the keypad. This is great, but it took me a little too much time to get used to. After using the mouse for the last few hours, I must emphasize that it feels great, but could’ve been a little lighter. Although, if I’m totally honest it slides around really quickly and easily. It has amazingly speedy response time, it is simply ultra-fast. So, the control it offers is amazing. The Bloody ML160 is customizable and you can adjust the colors as you want. You can change the color of the BLOODY logo, and set up 7 colors for each profile you’ve created so you can shift through them (you can change the key). In that way, you’ll know your profiles and the colors will serve as an indicator. When the software is in question, it is important to emphasize that the mouse has 4 cores. Think of these cores as places where you can put functions. The functions gradually increase from core 1 to 4. Which core you’ll use depends on the type of game you’ll play with it. If you play a lot of MMORPGs or PC games that require a lot of buttons and/or combos this Bloody ML160 is the best new choice. The functions and features of the mouse are making it the best choice, together with the wonderful design and functionality. The macro buttons on the right-click are sized perfectly. Why? Because their size is big enough to hit them gently and not big enough to make the mouse feel too big and hard. Simply put, it is a great gaming mouse that looks and feels awesome.